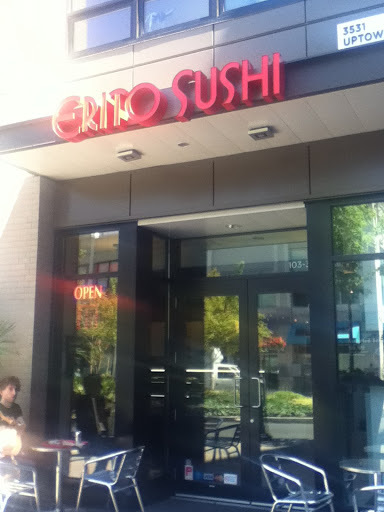 Erito Sushi in Uptown is no Ebizo on Boughton when it comes to quality or affordability. This latest entry to the center of the Uptown-verse is basically a cover for putting more Japanese style restaurants in malls that do not need it. This place is basically an overpriced fast food joint. The packaged sushi is most likely not made fresh during the day. Instead, they are mysteriously packaged up before the lunch time crowd can enter the building. Even worse, there is no variety. I arrived in the middle of lunch-time and only found the traditional staples of cucumber, california, tuna and salmon presented in maki form. I’m better off going to Fujiya, but I was meeting a friend in Uptown and arrived to the center with a bit of an appetite. But when I was able to peek into the kitchen area, there seemed to be very little space to continuously have sushi made throughout the day. It looked more like it was suited for cooking teriyaki dishes and frying up tempura than to be an area to package up more sushi. In what I ate, I always go for the raw stuff first. I tried their spicy scallop roll along with the tuna and salmon sashimi. I thought the rice was okay, but the quality of the fish is suspect. The scallops and tuna tasted reasonable but the salmon was just awful. It left me with an aftertaste that I did not like and I had to go drown it with a smoothie from Qoola. At least this yogurt place never disappoints. 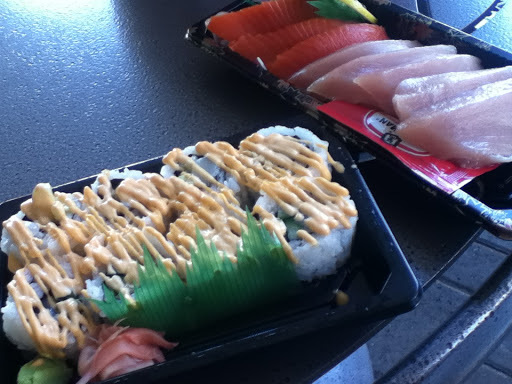 This entry was posted in Food, Reviews and tagged Asian, British Columbia, Japanese, Saanich, Sushi, Vancouver Island. Bookmark the permalink. How was the service for you? One of the girls, was so incredibly rude! I won't return because of that. The food, I felt the same way, as you described.